The good news is, thoughtful product design can help OEMs achieve their goals — without reinventing the wheel. Food safety is a shared responsibility between manufacturers, operators and in some cases, end users. 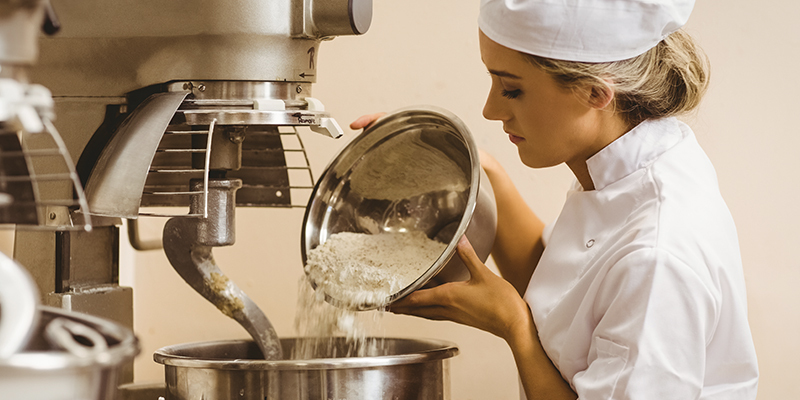 Whether your equipment will be used in a food processing plant or at a restaurant, best practices in hygienic design should always be adhered to. This includes only using components that have smooth surfaces and staying away from hard edges or rough surfaces that can harbor bacteria. Like in industrial equipment design, food equipment must be able to withstand harsh cleanings and exposure to grease and moisture. In addition to being able to handle the cleaning chemicals, the cleaning process itself needs to be easy. If it’s too complicated, users will skip scheduled cleanings, or put in a half-effort that doesn’t help protect customers from food-borne illnesses. With all of these other priorities to worry about, visual communication design may be an afterthought. 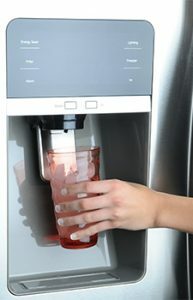 Factor in that today’s consumers and end users expect sleek and modern design, from the iPhones in their pocket to the coffee machine at their workplace and you’ll quickly see the need to update the design of your equipment. While the trend may be to move to full touchscreen HMIs, food equipment manufacturers don’t necessarily need to upgrade their displays to Cadillac versions to meet their strategic goals. 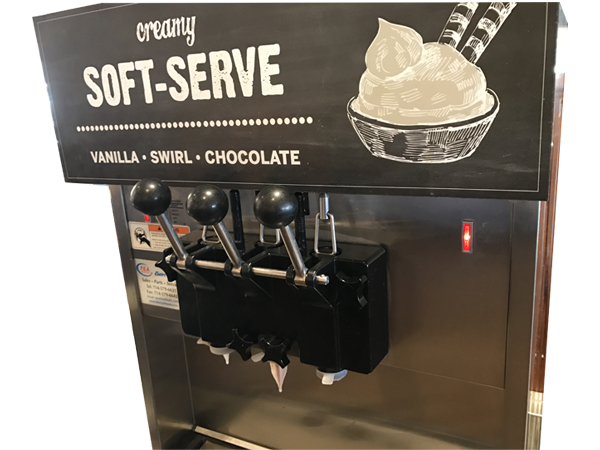 From self-serve ice cream machines to coffeemakers and fryers, small design tweaks can yield big rewards. Food processing indicators can range from simple on/off switches to advanced touchscreens. If your budget does not include upgrading to full touchscreen displays, you can still reap some of the rewards when revising existing designs (and creating new ones). Increased energy efficiency – LED indicators are 50 percent more efficient than their neon counterparts and last up to four times longer. Reduced maintenance – This simple change can also enhance food safety by reducing the maintenance needed to replace bulbs. Upgrade your text indicators to icons – Why? The brain processes visuals 60,000 times faster than text. This fact can not only help increase worker efficiency in food processing equipment, but also enhance operator and end user safety when warning indicators are going off on food equipment. Go visual for universal understanding – Another added benefit of using visuals and icons over text is that instructions and indicators wouldn’t need to be translated for use in other geographic markets (think about how universal those IKEA instructions are). Provide additional information to users through numeric displays – To improve visual communication, you can replace a simple indicator light with a set of single-digit, seven-segment indicators. These LED displays can enhance operator safety by taking what would be a simple light that indicates operation to a set of numbers that could inform the user if a temperature is getting too high. 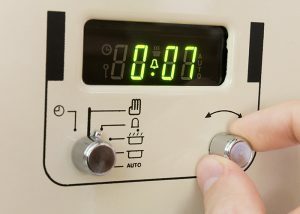 This type of communication isn’t limited to temperatures, it can also be used to inform of cook times and other numeric values that could better communicate with end users. Enhanced sanitary design – Unlike mechanical switches, there are no gaps that could harbor additional bacteria, so they’re easier to clean and reduce the risk of food safety issues. Capacitive touch sensors can also be mounted behind an overlay for even easier cleaning. Long-lasting operation – LEDs provide significant energy efficiency and reduce downtime that would be required for bulb replacement. More intuitive interface – Designs can also incorporate arrow, on/off and alarm icons for faster, more intuitive communication with operators or end users. Sleek, modern design – When mounted behind an overlay, capacitive touch displays provide the modern design aesthetic more end users expect. Before revamping the design of your food processing equipment, weigh the production costs of each edit against the user benefits. What you may discover is a mid-range upgrade, such as implementing capacitive touch displays instead of a full touchscreen could be your manufacturing sweet spot, whether you’re designing chocolate mixers or espresso machines. To learn more about how indicators can help maximize efficiency and safety in food equipment design, contact the VCC team today.